The foundation is being laid for a pair of features that will greatly improve the Android experience. According to a teardown of Google Play Services, Android Police discovered that the ability to use Android Pay with your Android Wear watch and a promised instant apps feature may be coming soon. Paying with Android Wear would catch Google up to both Apple and Samsung, which already offer this capability in their respective wearable platforms. The report notes that the code strings include a reference to “wear” and “tp,” with the latter typically used as a reference for tap-to-pay. Additionally, the code is filled with a tutorial for how to use the feature. 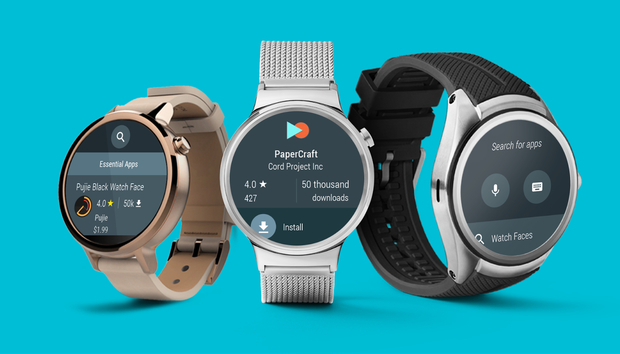 Tap to pay could very well be set for a rollout in early 2017 alongside Android Wear 2.0. A feature that should impact more right out of the gate is Android Instant Apps. It’s backwards compatible all the way to Jelly Bean, so it’ll hit a very wide user base right out of the gate. Someone could send you a link to an app and your phone would load it right away, without the laborious process of going to the Play Store, waiting for it to download, and then going through the installation process. At Google I/O, Product Manager Ellie Powers showed off a parking meter that could send you the app right away so you can pay for your space, instead of waiting for the full app to download. Instant apps grabs just small pieces of an app as they're needed, so you can start using it right away. It takes some work from developers, but it could make a big difference when grabbing an app spur-of-the-moment. Android Police notes that multiple code entries have been changed over from false to true, which indicates they’re in active testing. There are bound to be other hidden gems inside the latest build of Google Play Services, which is rolling out now or available right away from APK Mirror. Why this matters: Using your watch for payments would make Android Wear both more convenient and a bigger selling point for those thinking about picking up a smartwatch. Android Instant Apps could be a major game changer for improving the ease of discovering new apps. However, you’ll have to be patient as it may be early next year before we get a chance to play with either of these new features.